Development is not just about physical premises alone. Well organised, properly resourced, and expertly coached Youth football for both boys and girls is central to our development plans. Young people represent the future of this club, and by implementing an organised and coherent youth policy we intend to establish ourselves as one of the top Clubs in Tyrone. 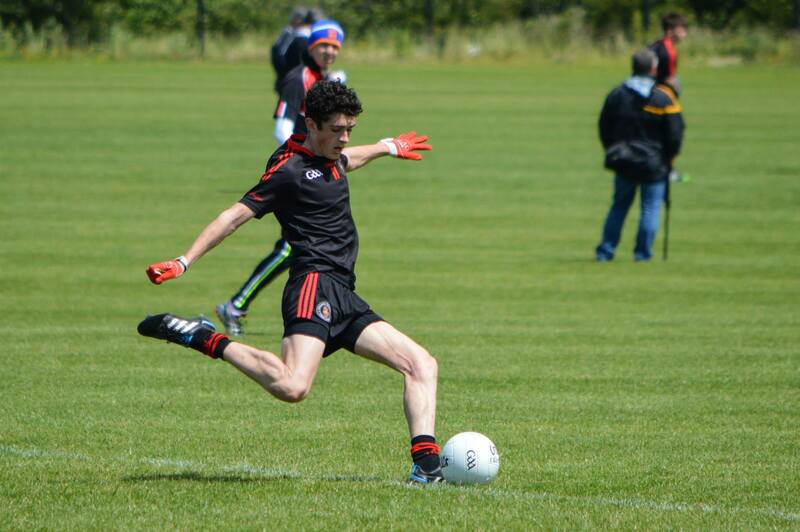 With this in mind Drumragh GAC has established The Drumragh Youth Academy, the details of the aims and workings of the Academy can be found below. The Drumragh Youth Academy was set up in 2010. 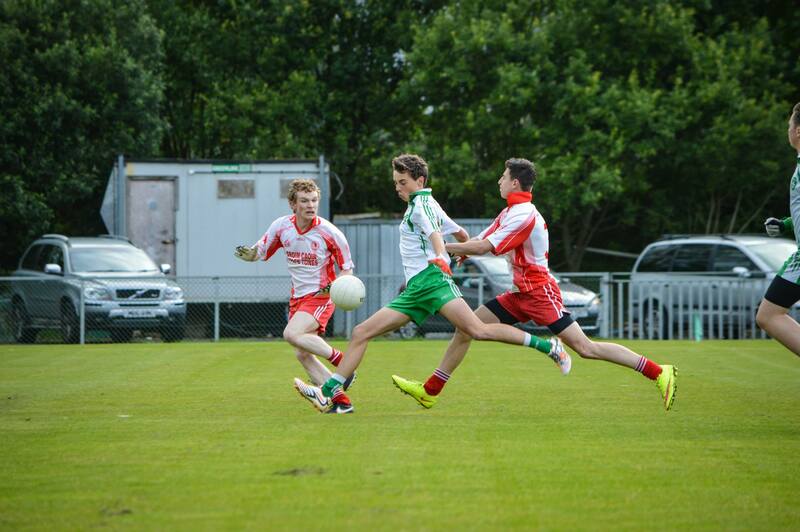 Young people represent the future of any club, and by implementing an organised and coherent youth policy through a managed Youth Academy, we have established ourselves as one of the top Clubs in Tyrone. 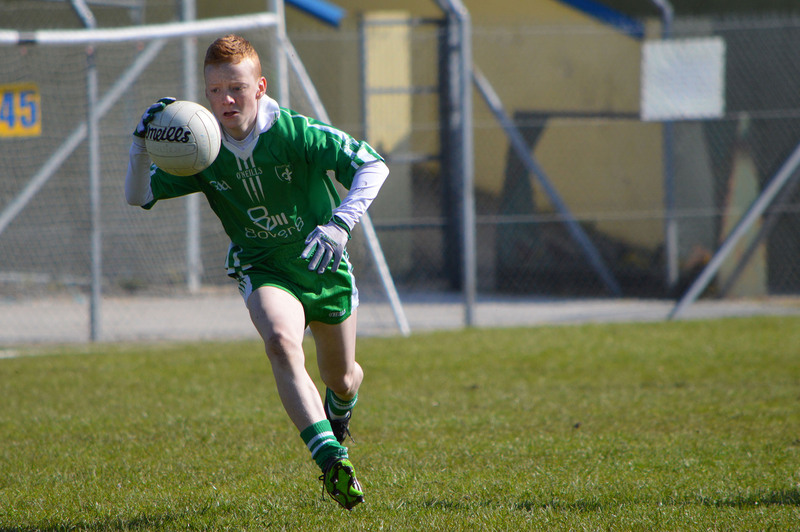 The core principle behind the Academy is the "Drumragh Way" of coaching. The Academy, with the help of youth players, club coaches, parents and funders, has helped to build solid foundations for the development of the Club over the next decade. 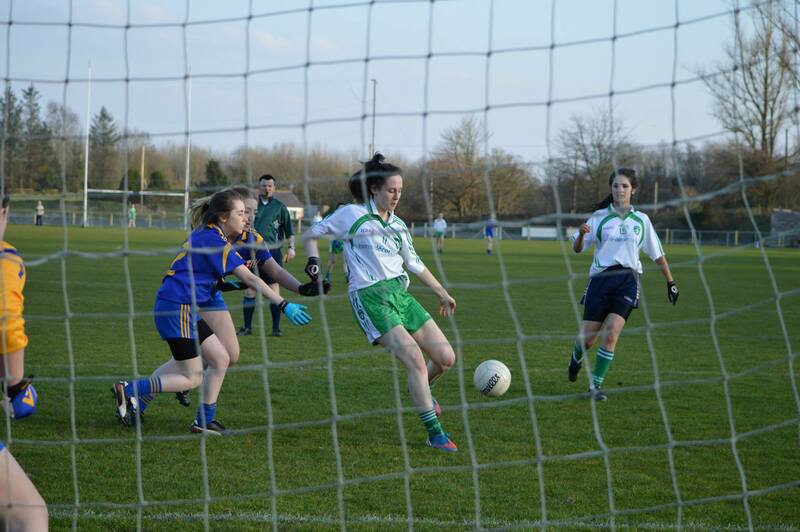 The Youth Academy is managed by the Youth Committee and covers Gaelic Start Programme right through to Under 16 & Minor. The aim of the Academy is to deliver a “single” best practice way, “The Drumragh Way” of developing each and every one of our young players so that they coherently become active members of a team. One of the practical changes that will be seen is that each and every youth player is constantly assessed across a number of areas. These include Core Skills, Balance, Speed (physical and speed of thought), In Game Engagement, Teamwork and Fun levels. This assessment will be constant throughout the year, the coaches will use “spot and fix” techniques where needed and coaching sessions will not only build on skill but be focused on delivering teamwork ethics. 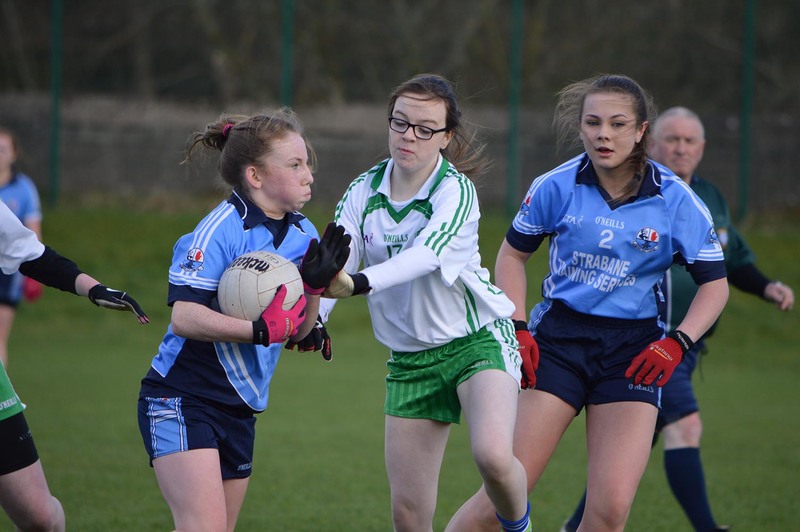 The Drumragh Youth Academy will strive to produce full teams of footballers, girls and boys, which have the skill level, attitude and team ethic required to ultimately deliver senior competitive football for Drumragh, each and every year. 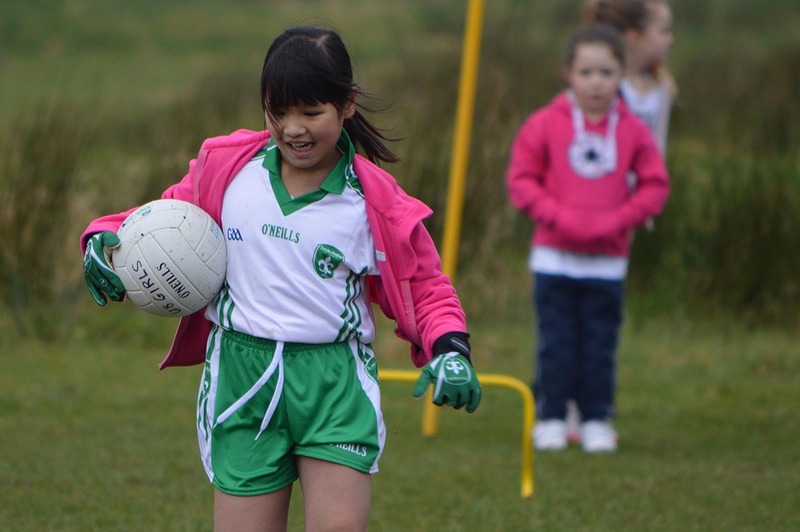 We have introduced GAA Go Games to achieve these goals and give every child the opportunity to develop. The main aims of Go-Games are to maximise participation and optimise playing standards of our younger members. 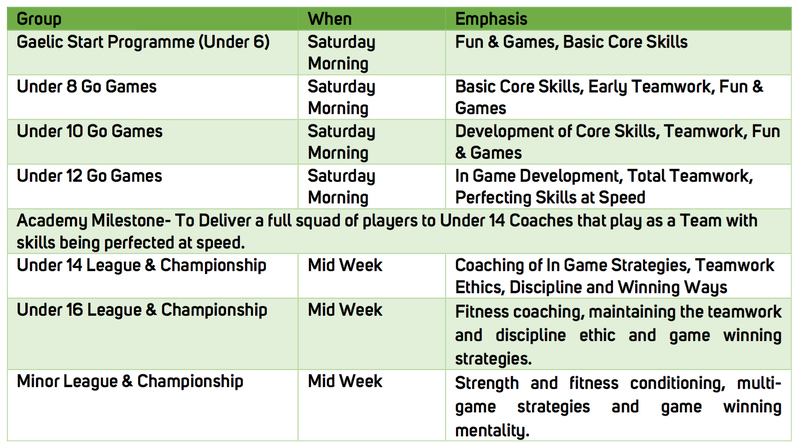 The games are structured to suit the needs and abilities of those who participate, which will mean more touches on the ball, further development of the basic skills at the right pace, and hopefully increase enjoyment. 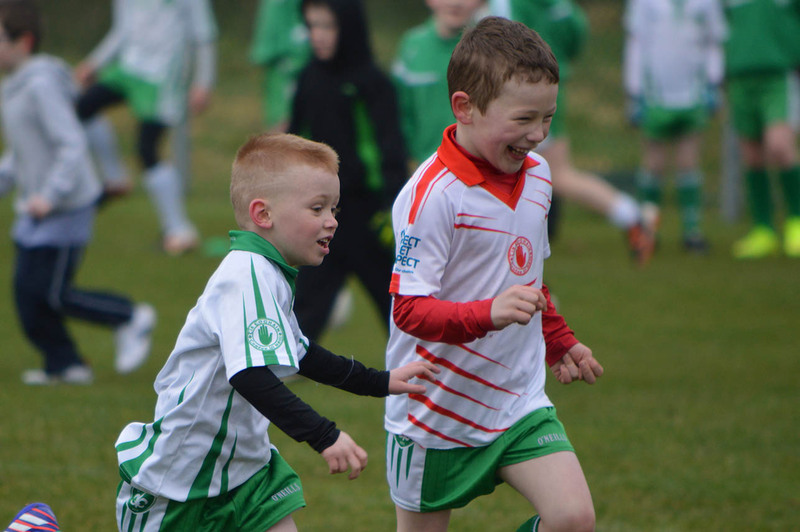 At Drumragh, we acknowledge that at U8, U10 & U12 age levels, Gaelic football should be more about fun and enjoyment than winning and losing. It’s the taking part that counts. 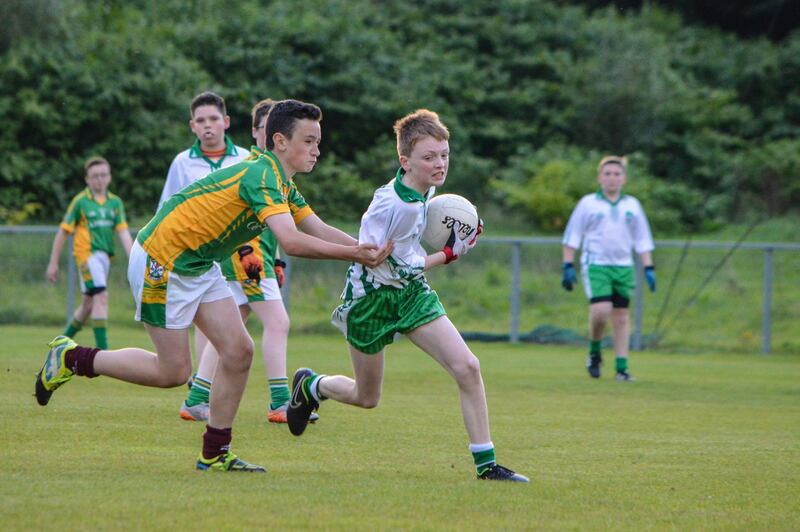 At training and in competition, our younger members shall be encouraged to develop their team skills as well as the basic skills of Gaelic Football.